The Death Of You And Me sees Noel back in familiar musical territory and already appears to be a hit with fans, with some being unable to resist a dig at his brother, former Oasis bandmate Liam. Writing on his website, one fan said: "I really wouldn't want to be Liam right now," while another said: "Liam who? When's the tour?" 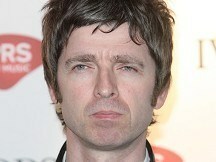 Noel quit Oasis in 2009 after years of tension with his brother. Speaking at a press conference earlier this month, he said he regretted the way the band ended, splitting with just two shows to play. He added that if the group had finished the tour and had time to reflect, "we'd never have split up". Noel said he had had no desire to leave Oasis - but he could no longer continue being in a band with his brother. "I'd never had enough of Oasis - I'd had enough of him," he said. The single, officially attributed to Noel Gallagher's High Flying Birds, is released on August 21. Noel said: "My manager asked me who the High Flying Birds are. They aren't anyone in particular. Noel Gallagher's High Flying Birds is me and whoever is around at the time of whatever it is that I'm doing, a loose collective kinda thing." The first of two albums, which he has completed, will be released on October 17 with the second to follow next year. Noel will support the album with a tour of small venues, beginning in Dublin on October 23. A larger tour may follow in 2012, when he will release his second album which has been made with production duo Amorphous Androgynous.